Here is a picture of our new Mama Charis. Mine is the silver one, and Kendra’s is the red one. Aren’t they beautiful??!!! 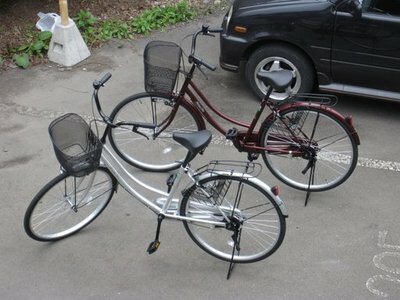 Our new bikes are much better than the old ones! The old bikes were rusty and the brakes didn’t work very well, but the new ones are great. However, they might get rusty if it keeps raining a lot! Do you have a Mama Chari? Do you have any interesting bike stories? Please share them if you do.